Fullerton made it into USA Today. Are you proud? Okay, So Maybe I was Wrong! 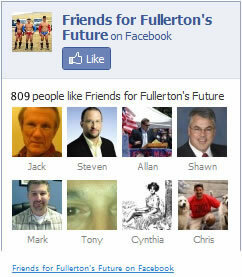 The union brother Fullerton cop union boss Barry Coffman says is a cancer talks to The Fullertonian, here. …but somebody’s got to do it. Rincon Mejia Major Hampton Ramos Wolfe Cicinelli Mater Baughman Sellers Tong Nguyen Craig Blatney Coffman Kirk Basham Goodrich Wren McKinley Siliceo And that’s not all. Do I really have to go on? Click here to read more of the Weekly’s “Best Of”. Congratulations Travis! Long Time Fullerton Resident Baxter Knocks It Out of Park!